This is my 7th installment of Babywearing Stories 365. Each installment features a babywearer in 1 photograph and their answers to 5 questions. My goal is to normalize, promote and celebrate daily Babywearing, moving beyond *what* we use to carry our babies and shifting focus back on *why* and *where* we carry. I hope to share the stories of moms, dads, and babywearing caregivers all over the world. Enjoy! I am Gisela, and I am wearing my 20 month old, Adam. With me was my 4yo, Erik and my 6 week old, Emma. We were at Fox Chase Farm for my 4 year old’s field trip. Adam is riding in a Boba carrier. We were learning about how maple syrup is made and checking out the farm animals. Wednesday, March 13, 2013 @ 11:00am. With having to keep track of three children (two under age two) babywearing just makes sense. I chose to wear my 20 month old because he does not like being confined to a stroller, and with him on my back he was able to see everything going on, which made him happy. Plus, he did not have the opportunity to run off, so I did not have to chase him and risk leaving my other kids unattended. My 6 week old was content to sleep in her carseat that was snapped in the stroller- she stayed warm and didn’t even wake! One of these days I will attempt to tandem wear my two little ones! 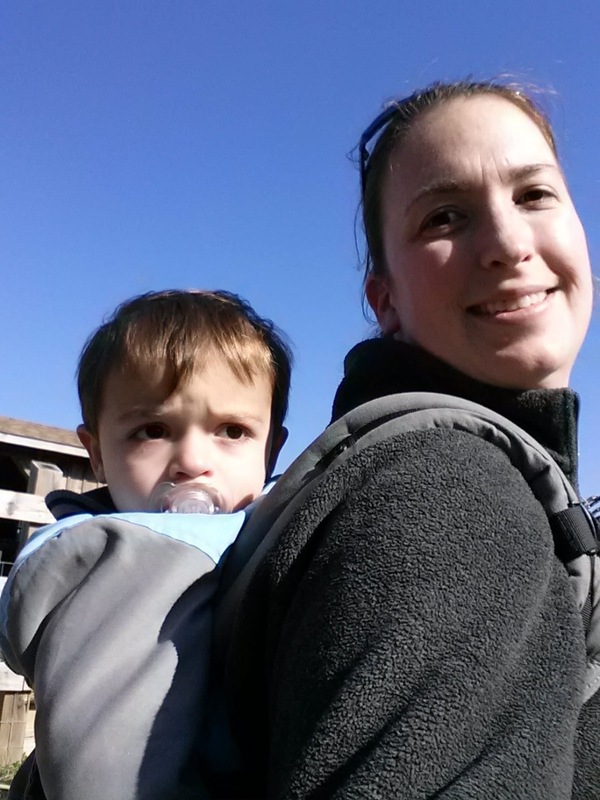 Babywearing has been a part of my life for almost 7 years – I first wore my oldest when he was less than a week old!